« How Did The Streets Get Their Names? When I was in 5th grade, I was cast as Gracie Shinn, the Mayor’s daughter in The Music Man. In my moment of theatrical glory, I got to run across the stage yelling “Daddy Daddy Daddy, the Wells Fargo Wagon is Coming”. Talk of the Wells Fargo Wagon stirs up feelings of old-timey nostalgia for the days when you couldn’t just order things overnight delivery on amazon.com. Waiting for the stagecoach must have been excruciating! For those who don’t know what I’m talking about, here’s a video from the 2003 movie. Did you know that Wells Fargo has its roots in Buffalo? Fargo Avenue is a street in the Lower West Side of Buffalo. 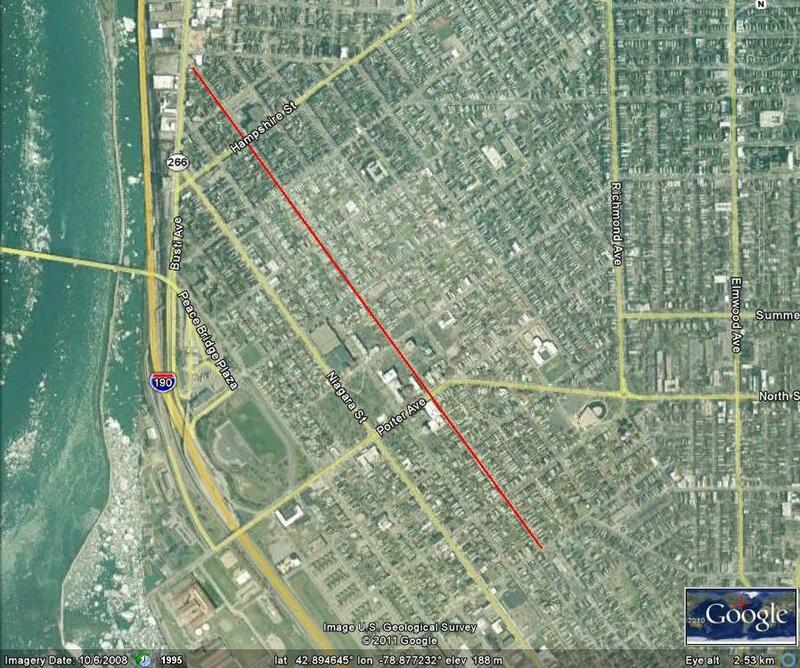 It runs approximately 1.3 miles from Niagara Street to Hudson Street, parallel to Prospect Avenue and West Avenue. D’Youville College sits at the corner of Porter and Fargo Avenues. The street is named after William Fargo. William Fargo was born in Pompey, NY in 1818. He worked as a clerk in a grocery store and became a freight agent for the railroad in 1841. He served as a messenger between Albany and Buffalo. In 1844, he worked with Henry Wells to expand freight service west of Buffalo (surprisingly, Wells Street in Buffalo is NOT named after Henry Wells, but more on that in a different post). Wells and Fargo and John Butterfield started American Express. In 1851, with Wells and others, he formed Wells Fargo & Co, which expanded to become one of the major United States mail order companies, bringing goods from the East Coast all the way to the Pacific. Wells Fargo became the premiere shipping company west of the Mississippi. After the Transcontinental Railroad was completed in 1869, both Wells Fargo and American Express moved away from shipping into banking and finance. Both companies still exist today. Fargo was Mayor of Buffalo from 1862 to 1866, and, from 1876 to 1881, was publisher of the Buffalo Courier newspaper. His first home in Buffalo was built at 47 Niagara Street, at the corner of Franklin Street. In 1870, he completed an elaborate private mansion. The house was rumored to be the most costly house in the entire State of New York! In 1870 dollars, the house cost $600,000 (approximately 10 Million in today’s dollars). The house was 22,170 square feet in size and filled two city blocks: from Pennsylvania Street to Jersey Street, and Plymouth Avenue to Fargo Ave. The central tower was 5 stories high. It contained wood from all the states in the union at the time (there were 37). It was the first home in the City to have an elevator in it, and it was said to have gold doorknobs. The house was surrounded by spacious lawns, gardens and greenhouses. Do you think the Wells Fargo Wagon delivery men ever got to set foot in the mansion? Probably not. Unfortunately, after William and his wife’s deaths, the home sat vacant. 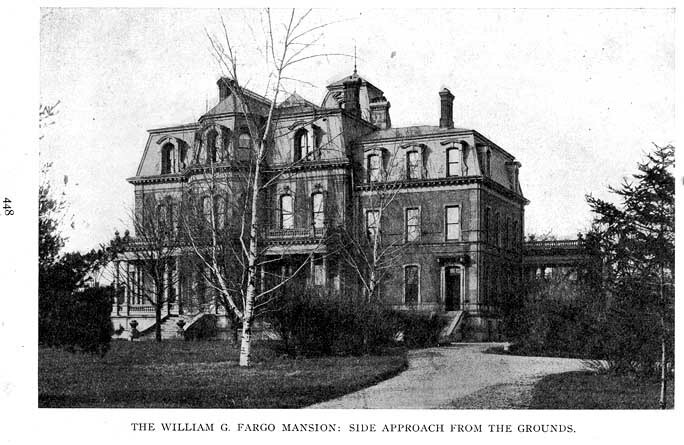 By that time, wealth in the City of Buffalo had shifted towards the Delaware Avenue mansions. The house was demolished in 1901 and the land subdivided for residential development. (There’s a marker showing the location of the house at Jersey Street and Fargo Avenue) The only remaining artifact from it is the front part of the banister from his staircase. The banister is on display in the Buffalo Made exhibit at the Buffalo and Erie County Historical Society. Fargo was an important part of establishing regular mail service and helped reduce postal rates, by charging less than the government. 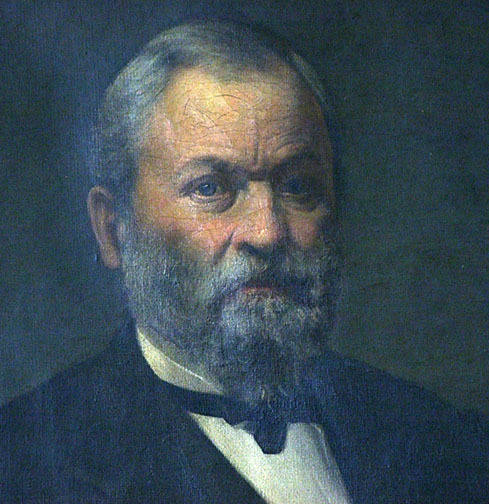 He revolutionized shipping and was involved in many Buffalo Institutions. In addition to being Mayor, he was on the first board of the Buffalo State Hospital, was on boards of various railroad companies, and held interest in the Buffalo Coal Company. He donated substantial amounts to charity. Following the Great Chicago Fire, he donated $10,000 to help the homeless in Chicago. He’s buried in Forest Lawn. Fargo North Dakota is also named after him.